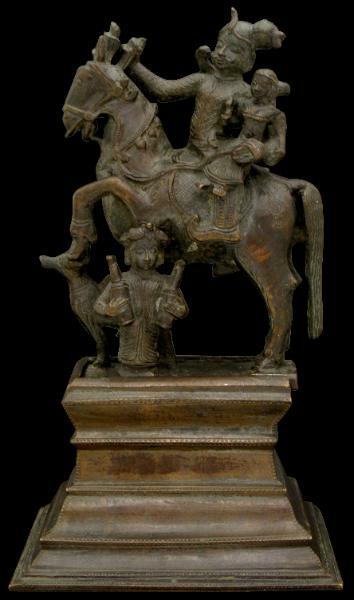 This unusual bronze does not appear to be particularly religious, when of course almost all figurative bronzes from India are. 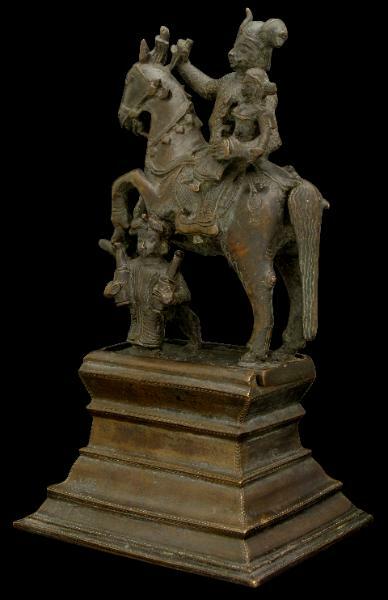 It depicts a warrior and female accomplice astride a warrior horse which is rearing over a hunting dog. The standing male attendant bearing two jars completes the group. 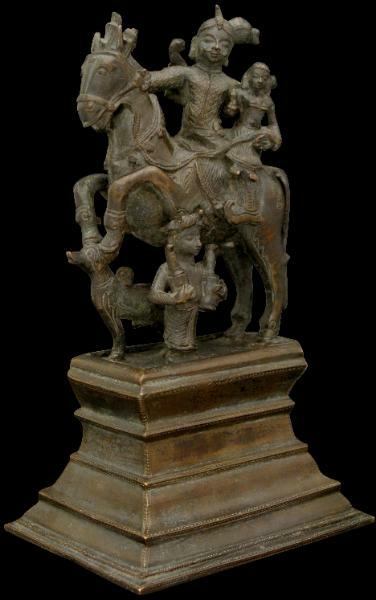 The group is attached to a late which slides into the multi-tiered bronze plinth. 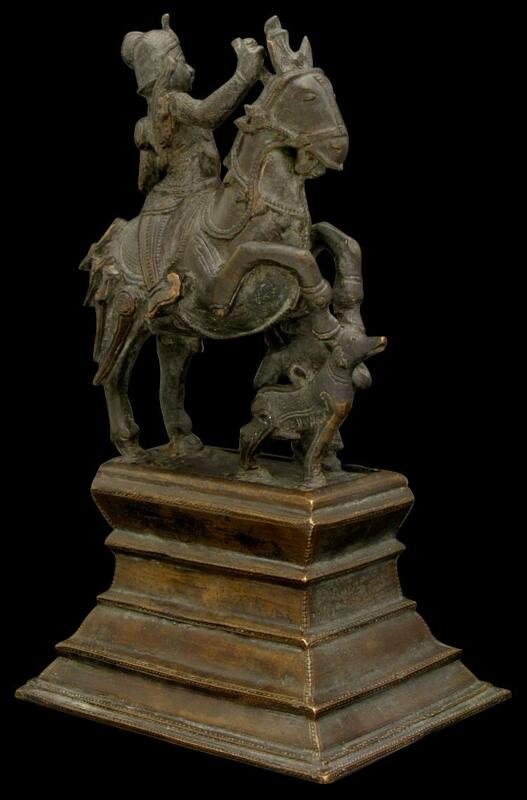 The style of this bronze, particularly the warrior and his garb and the styling of the horse with its square, open mouth suggests that it is a copy of the massive marble sculptures of warriors and warrior horses of the magnificent thirteenth century Konarak temple complex in Orissa. images of the Konarak warrior horses can be found in Sarat Chandra, ‘Traditional stone craft of Orissa’, Arts of Asia, July-August 1994.